Is the Credit Counseling Requirement a Legitimate Excuse to Avoid Filing? The credit counseling requirement was one of the more talked-about Chapter 7 reforms in the last round of legislative updates. Now, almost a decade later, what does this prerequisite mean in practical terms? Does the average consumer filer even notice this requirement? The main reason that legislators took up bankruptcy reform in 2005 was that consumer bankruptcy had finally lost its stigma as a financial failure and was instead seen as a logical alternative to repaying an excessive amount of debt. That attitude was good news for consumers, but very bad news for credit card companies and other moneylenders. So, the moneylenders lobbied Congress to change the rules and make bankruptcy harder to file. The idea was to create obstacles that made bankruptcy less attractive. Beginning in 2005, Chapter 7 filers were required to attend and complete a certified credit counseling class, which, at least in theory, delved into the reasons behind the contemplated bankruptcy filing. Ten or fifteen years ago, when the Internet was still in its infancy, speaking with a licensed credit counselor still probably meant an afternoon off from work for a trip to someone’s office. Today, there are literally hundreds of providers approved by the Florida bankruptcy courts. Typically, the approved classes are offered online in both English and Spanish. There is still a nominal investment of time (about 30 minutes) and money (about $30) involved. After your bankruptcy is filed, there is a second class to take. 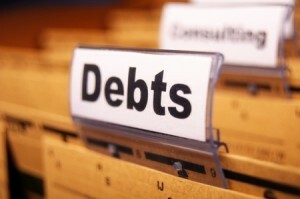 The debtor education class may be taken in the same manner as the pre-filing course. Faro & Crowder PA sends clients to the Dave Ramsey debtor education class. Clients rave about the class because they actually learn to change the way they live and free themselves from the cycle of debt and insolvency. Don’t put it off. To get started on your Chapter 7 Bankruptcy today, contact our office located in Melbourne, Florida. This entry was posted in Bankruptcy, Consumer Lending, Debt and tagged Chapter 7, Chapter 7 Bankruptcy, Cocoa Beach, Consumer Lending, credit counseling requirement, debt, Faro & Crowder, Florida on March 3, 2014 by Michael Faro.